OKIE BILL is truly a "jack of all trades." Shown widely throughout California in the past by Jesse Curtright, OKIE has consistently won ribbons in a variety of events, from halter, driving, pleasure riding, to western pleasure. OKIE BILL has over 70 foals on the ground; many of them are being shown and are winning ribbons. 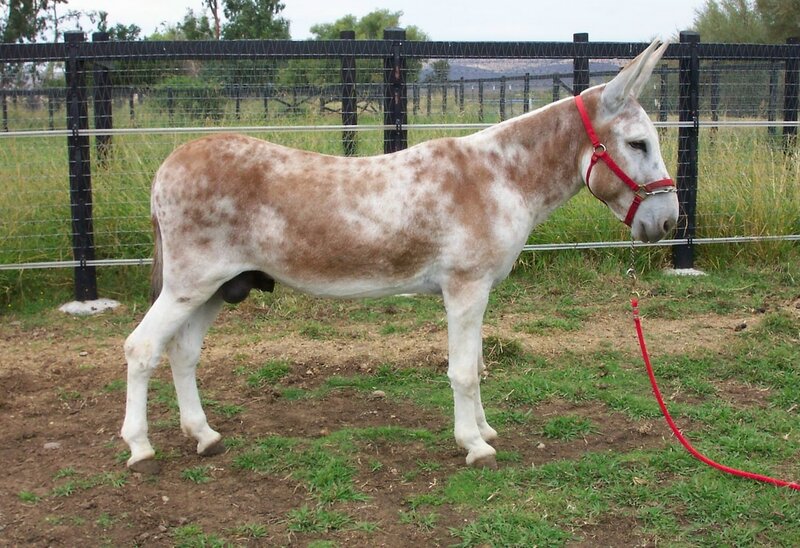 OKIE BILL's exceptional conformation, character, ability, and outright charming personality have already earned him 1996, 1997, and 1998 AMA Champion Donkey at Halter, 1997 AMA Reserve Champion Performance Donkey, plus Show Championships at many 1998 and 1999 California and Oregon Shows. Many photos of these outstanding mules are available by e-mail pacintgen@gmail.com ; just let us know! Awesome mules out of Belgian mares!